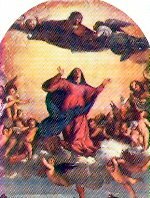 What you are about to view was the only and original online version of the Marian Calendar. It was researched in several languages, and every effort was made to discover the meaning of the feasts for each day. A great deal of work went into making this calendar, and I thank you for continuing to use this website for the calendar rather than any other website where this information has been copied and reposted without my permission. It has recently come to my attention that this information has been published in a book, its author claiming my work as his own. 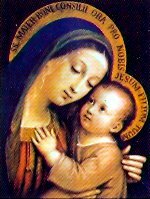 Enjoy the information here, instead, for the glory of God, the honor of the Blessed Virgin, and for FREE! I will continue to update my website as my research develops new information. Thank you for your support. 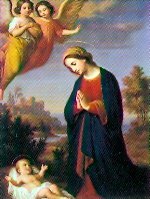 The Marian Calendar is a collection of feasts honoring the Blessed Virgin Mary, and they recollect the actions she has taken on behalf of Catholics of all nations and kingdoms throughout the ages. There is a story for each day of the year, and each has a lesson for us. 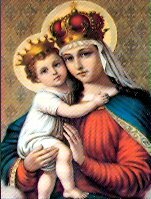 The Marian Calendar was first published when King Louis XIV of France was still a boy, and it is in reality a collection of famous sites of pilgrimage to the Blessed Virgin throughout all of Christendom. It is unnecessary to remind the reader that things have changed a great deal since the time the Marian Calendar was first published. At that time Christendom was still flourishing, and there were a great many religious buildings consecrated to the Mother of God. Thanks to various upheavals and revolutions, some of these sites are now nothing more than a pile of ruins. 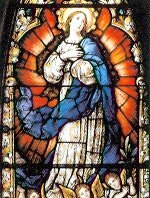 In our time there are very few people who even remember the Marian Calendar, and those who do usually have nothing more than a list of devotions, such as “Our Lady of Provence,” with no explanation of the actual event they attempt to recall. The work is no longer found in libraries, and a great deal of research has often been necessary to recover the traditional beliefs that are recorded. As time goes on I will strive to disclose each of those incidents for the edification of Catholics living in our day. If anyone reading this page has personal knowledge of any of these stories, please feel free to send them along to be included in these pages. 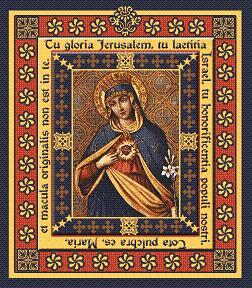 This compilation of diverse accounts provide abundant proof that Mary, the Mother of God, has indeed claimed the hearts of Christians from the earliest centuries down to the present day. 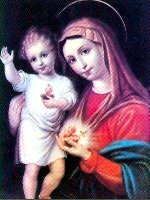 They are also evidence that Catholics have long believed in the value of the Blessed Mother’s influence and mediation on the behalf of her children before the throne of God. 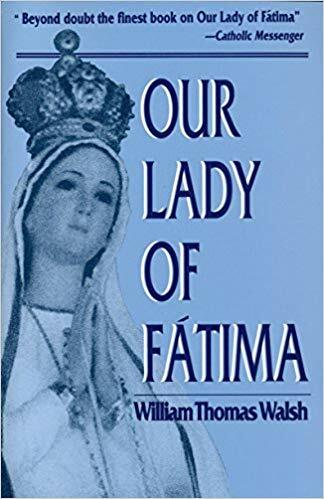 This was the conclusion reached by William Thomas Walsh, distinguished author, historian, and teacher, after he had thoroughly investigated the miracle of Fatima. 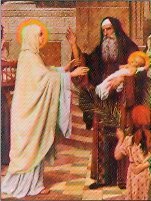 Here is the whole remarkable story of the appearance of the Blessed Virgin Mary to three simple children at an obscure Portuguese village in 1917. Her prophecies of World War II and the rise of communism, her plea to humanity to do penance, her promise that world peace and the conversion of Russia would take place if her messages were heeded -- these are some of the dramatic events in this fascinating account of a modern miracle. Our Lady of Fatima is a magnificent re-creation of an event whose effects are still reverberating throughout the world -- the appearance in person of the Mother of God with a "peace plan from heaven." 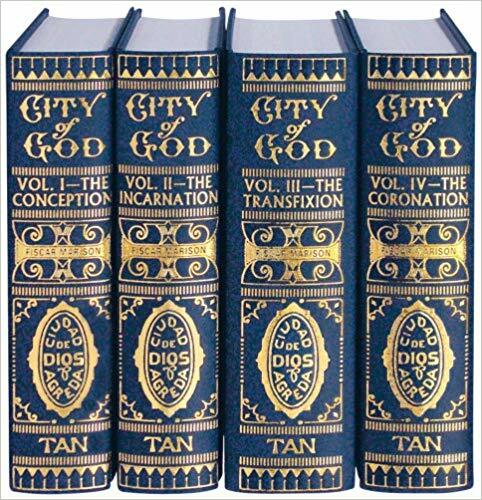 This magnificent set is an heirloom that should be in every Catholic home library.